LEGO® Technic 42077 Rally car remote control upgrade pack for the 2 wheel drive modification. 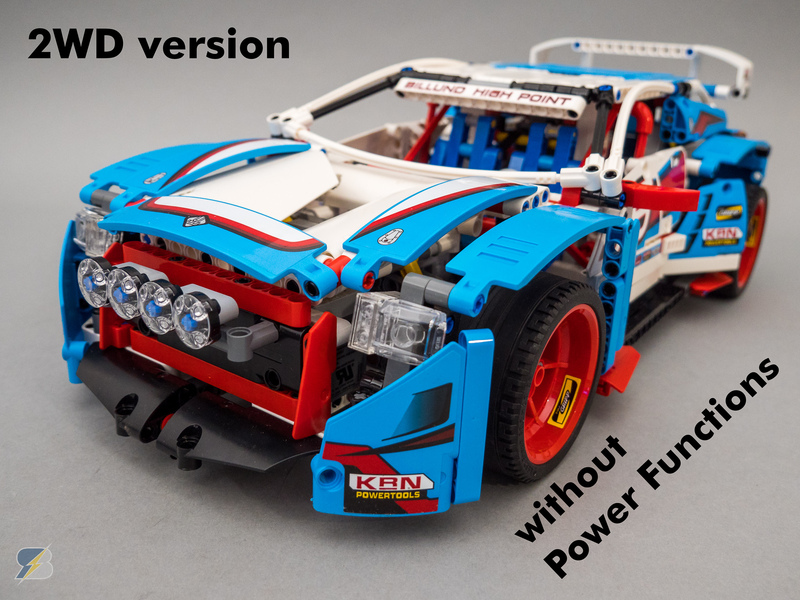 This pack only includes the extra LEGO® parts for the modification, Power Functions components are not included. You will also receive the detailed building instructions for the set.